Winegrower Gary Pisoni comes from generations of farmers who tended row crops long before he was born. His parents, Swiss-Italian immigrants, Eddie and Jane Pison, began farming vegetables in the Salinas Valley in 1952. 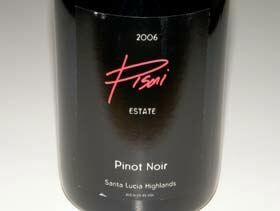 Pisoni enjoyed drinking and collecting fine French wines while in college. When he graduated, he was eager to find a way into the wine business. When he told his father he wanted to plant grapevines on the family cattle ranch in the Santa Lucia Highlands, he was met with several objections, not the least of which was the cost. Gary countered to his father, “Have you ever been to a $250 lettuce tasting?” His father relented and a legendary vineyard was born in 1982. Gary’s positive energy has made him a household name and a passionate pioneer among Pinot circles. Gary planted his first 5 acres of own-rooted vines in virgin soil at 1,300 foot elevation. It took ten years of witchers and well drillers to tap into a water source on the sixth try. Water turned the wilderness into a garden and made Gary’s dream come true. The original vines are rumored to be from suitcase cuttings from a famous domaine in Vosne-Romanee, now called the Pisoni clone or selection. 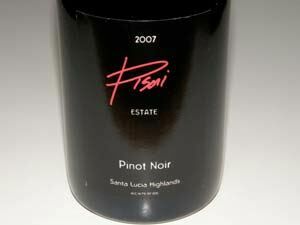 Winemaker son Jeff and grape grower son Mark created the Pisoni label, releasing the first estate Pinot Noir in 1998. A second label, Lucia, debuted in 2000. 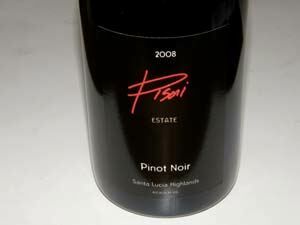 Pisoni fruit quickly became highly prized in California and Pisoni Vineyard put Santa Lucia Highlands on the map, becoming one of California’s true ‘cult’ vineyards. 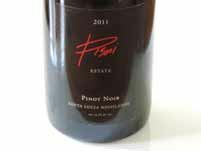 Many top producers craft a Pisoni vineyard-designate Pinot Noir (Arcadian, Capiaux, Morgan, Patz & Hall, Peter Michael, Siduri, Tantara, Testarossa). Gary Pisoni also manages nearby Garys’ Vineyard with Gary Franscioni. 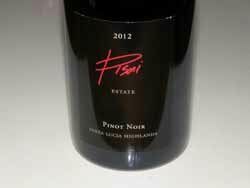 The Pisoni Estate Pinot Noir is sold exclusively through a mailing list. The Lucia wines are made in larger quantities and are sold through a mailing list offering and retail distribution (see Lucia in Winery Directory). To coinicide with the 30th anniversary of Pisoni Vineyards, a Pisoni Estate Chardonnay was offered with the 2010 vintage. 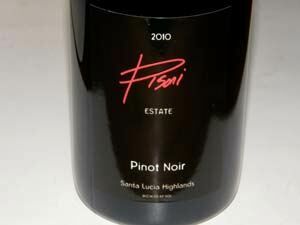 Chardonnay was initially planted at Pisoni Vineyards in 1982, but the fruit has gone into Lucia Chardonnay. 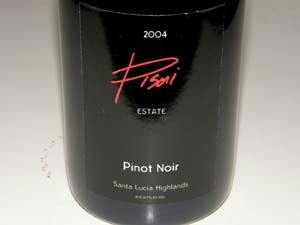 The Pisoni Chardonnay comes from some original 30-year-old vines and some from blocks planted in 1999. Only 100 cases produced.